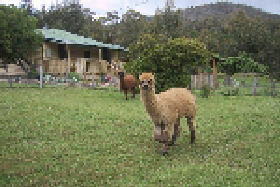 4 star rated Bed and Breakfast located in Central Fentonbury, Tasmania. About an hour's drive from Hobart, Hamlet Downs Country Accommodation in the Derwent Valley offers guests cozy B&B and self-contained accommodation and is ideal for nature lovers. 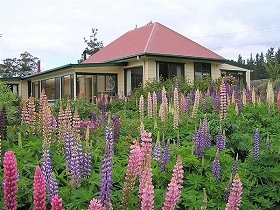 B&B Bed And Breakfast Accommodation - Located in Derwent Valley, about 10 minutes from Mt Field National Park in Tasmania - Facilities include 1.6km walking track, orchard, vegetable garden, landscaped gardens. Enjoy a beautifully restored 1800's Tasmanian farmhouse and additions with serviced apartments or Self Contained 4 Star accommodation. Only 10 minutes drive to Mt Field National Park and Russell Falls. 1/2 hour to New Norfolk or Maydena and 1 hour to Hobart. 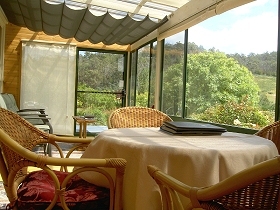 Features lovely gardens and a walking track around our ponds where you may spot our local wildlife including birds. We offer light and cooked breakfasts and a sumptuous dinner menu. 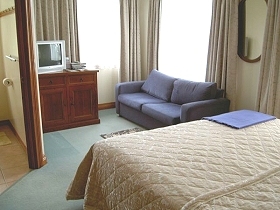 Hamlet Downs near Mt Field National Park, Maydena and the South West Wilderness area, offers 4 Star serviced apartments or self contained accommodation and fabulous meals. 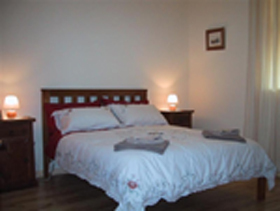 Post House Cottage, Fentonbury is a restored building in the Derwent Valley offering self-contained accommodation. 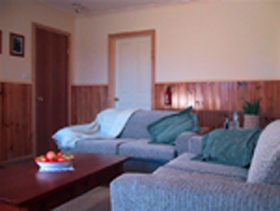 The cottage, just 10 minutes drive from Mount Field National Park, provides the peace and tranquillity of a rural setting with all the comforts of home.